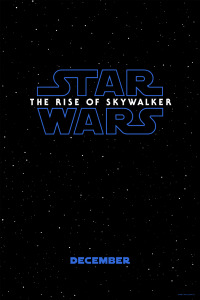 It seems like the STAR WARS spinoffs have ground to a halt. When Disney purchased Lucasfilm back in 2012, the studio immediately relaunched the franchise on the big screen. In addition to a new trilogy set after RETURN OF THE JEDI, Disney and Lucasfilm planned spinoff movies exploring the wider STAR WARS universe. Unfortunately, those plans seem to have been shelved. Production troubles on SOLO: A STAR WARS STORY complicated that film’s release, and right now, the two companies seem to have shifted the STAR WARS expansion plans to Disney’s upcoming streaming service. 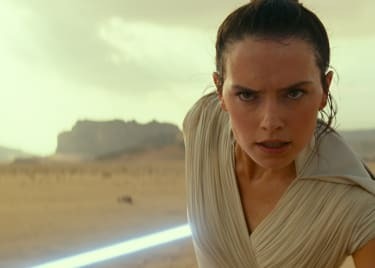 The sequel trilogy ends in December with EPISODE IX, and no further spinoff films have been announced. Here’s why walking away from the spinoffs would be a big mistake. The first spinoff, ROGUE ONE: A STAR WARS STORY, was an unparalleled success. Despite being set in the same era as the original 1977 movie, stylistically it was different from anything Lucasfilm had done before. ROGUE ONE is really a war movie, with a darker and grittier feel than the rest of the series. It expanded the idea of what the series could be and at the same time felt very much like the STAR WARS we know and love. SOLO struggled to convince audiences to accept a new version of a character defined and owned by Harrison Ford, and it lacked a defining vision. But that doesn’t mean the spinoffs are a bad idea; it just means that particular spinoff didn’t work out. The old Expanded Universe, a set of novels, comics and games which expanded the story of Star Wars in the years when Lucasfilm wasn’t making new movies, demonstrated the enormous potential of George Lucas’s galaxy. Some of these books just served to establish the backstory of existing characters — a Han Solo trilogy fleshed out a bit of Han’s history that has now been swept from the series canon — but the best of these stories were side-plot tales featuring secondary characters and concepts. We’d love to see Samuel L. Jackson return to STAR WARS as Mace Windu, a troubled Jedi General caught up in the conflict of the Clone Wars. Matthew Stover’s novel, “Shatterpoint,” gave a sense of just how powerful a plot that could be, exploring how war challenged the Jedi Master’s faith in the Light Side of the Force. Aspects of the book — including Mace’s distinctive Force powers — have already been absorbed into the new canon, meaning it could well happen. Alternatively, consider the possibility of a film starring Donald Glover’s young Lando from SOLO, exploring Lando’s life during the rule of the Empire, showing how he tried to go straight but couldn’t quite pull it off. Then, there’s the possibility of seeing Ewan McGregor reprise the role of Obi-Wan Kenobi, in a character piece set during his exile on Tatooine. The truth is that STAR WARS has almost unlimited potential. ROGUE ONE worked because it was unlike anything else in the franchise, giving a sense of just what it’s like to be on ground zero in a galactic conflict. Lucasfilm could follow a similar approach with more spinoffs, launching films that shift genres. McGregor’s Obi-Wan could appear in a Western-style film set on Tatooine or Mace Windu in a movie like APOCALYPSE NOW. 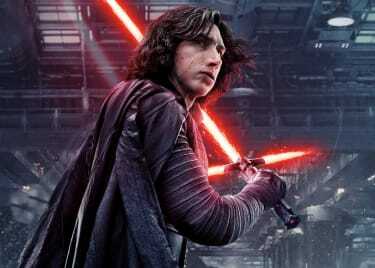 Lucasfilm has spent the last year regrouping and has two potential new trilogies in development. One is from THE LAST JEDI writer/director Rian Johnson, while the other comes from “Game of Thrones” masterminds David Benioff and D.B. Weiss. We don’t know what stories those trilogies will tell, but they could pick up where the idea of the spinoffs left off. Star Wars Celebration begins on April 11, and that event will likely reveal the true title of EPISODE IX and possibly give us a hint at what to expect from further journeys into a galaxy far, far away. 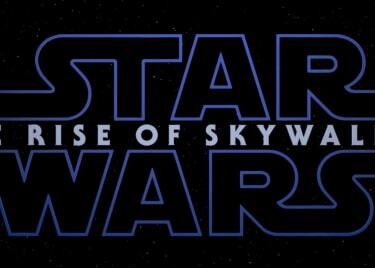 STAR WARS: EPISODE IX opens on December 20.